With detailed equipment and management aspects, Bounty Train [Official Site] also has plenty of thrills and chaotic fighting. It’s being ported to Linux and should be coming out sometime soon. There's much to love about trains. Their historical importance is unquestionably revolutionary and the engineering and the technical skills required to keep each voyage as smooth as possible depended on brave pioneers. 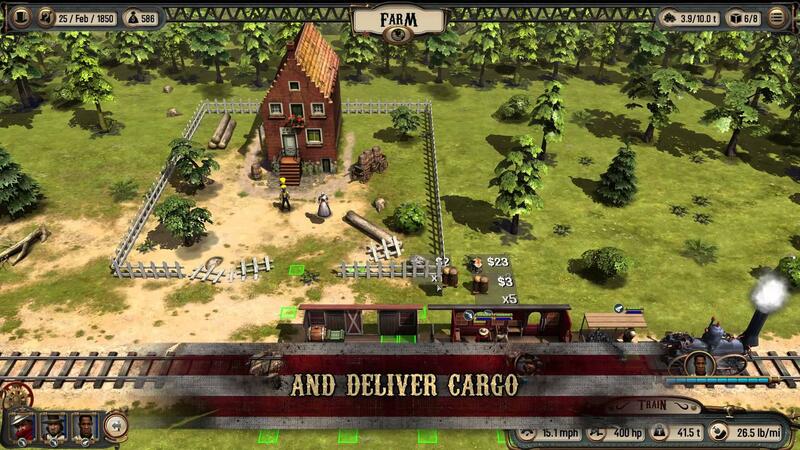 Bounty Train offers plenty of train action, placing players in the United States in the 19th century and making them reckon against the harsh conditions of the time. Hauling freight and passengers is complicated by bandits and many of the technological and historical developments of the time. The game was in Early Access for over a year and a half and recently launched earlier in the month. Now, after a GOG release, it seems that the game is being ported to Linux. There’s no hard release date yet, but the developer claims that it’ll be soon. This seems like a different sort of game than we usually get and I’m looking forward to seeing how the port turns out. Looks dangerous, as in addictively dangerously so . Is that like... FTL in a train in the Wild West? It's the first I'm learning of this game and, already, I feel as though I should retire from life and start playing it forever. My only gripe is them saying we get to explore cities. Haven't seen much of that in the trailer , unless that station is the whole "city"